For tech savvy mobile buffs the options of high end phones keep expanding every week. Intel is making this competition even stronger with the amalgam of cell phones with hi-tech Intel processors. 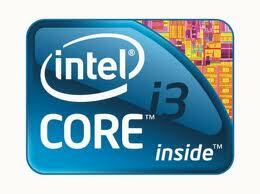 Intel’s Core i3, i5, and i7 products are all laptop processors that is now compatible in mobile phones as well. Mobile Core i3 500 Series: Based on the Arrandale design, which is a mobile version of the desktop Westmere products, the Core i3 500 series processors are the entry level mobile processor. They are dual core processors clocked between 2.13 and 2.26 GHz. These processors do have hyper-threading, but they do not have Intel’s Turbo Boost. They include an integrated graphics processor and 3 megabytes of L3 cache. While the Core i3 processors are entry level, they still have respectable performance. Mobile Core i5 500 Series Ultra-Low Voltage: A special processor sub-set of the Core i5, this processor has a U added to its name to indicate it is ultra-low voltage. Currently there is only one processor of this type. It is a dual core processor with a clock speed of 1.06 GHz. It includes hyper threading and a very aggressive variant of Turbo Boost, although OEMs using the Core i5 ultra-low voltage processors will probably put caps on how aggressive Turbo Boost can be when the laptop is on battery power. Mobile Core i5 400 and 500 Series: Despite the different numbers attached to the 400 and 500 series processors these processors are basically the same. These are Arrandale based processors with clock speeds which range from between 2.26 to 2.53 GHz. These processors are dual core processors with hyper-threading and Turbo Boost. The Turbo Boost feature is less aggressive on the 400 series processors. All of these processors include an integrated graphics processor and 3 megabytes of L3 cache. Performance is very good, and the higher end Core i5 processors are probably the fastest processors. Like the i5 U series processor, the Core i7 600 ultra-low voltage processors fill are meant for products with long battery life. These are Arrandale processors with clock speeds from 1.06 to 1.2 GHz. These dual core processors include hyper-threading and Turbo Boost. Their Turbo Boost is the most aggressive of any Turbo Boost on any mobile Core processor except the Core i7 Extreme, but will probably be capped by OEMs when the laptop is on battery in order to maximize battery life. All of these processors include an integrated graphics processor. The Core i7 600 series actually consists of two separate model types, those being low voltage and standard voltage. The low voltage products have an L attached to their model names. Besides power draw, however, these models are basically the same. They have clock speeds ranging from 2 to 2.66 GHz. They are dual core processors with Turbo Boost and hyper-threading. The Turbo Boost feature is just slightly more aggressive on the low voltage products than the standard voltage ones. These processors all have 4 megabytes of L3 cache. Also, all of these processors include an integrated graphics processor. These are the top of the line mobile processors. While broken up into the 700, 800, and 900 series, these processors are all based off Clarksfield designs and share the same features. Clocked between 1.6 GHz and 2 GHz, these processors are quad core processors with hyper-threading and Turbo Boost. The Turbo Boost feature is very aggressive on these processors when two or fewer cores are active. The Core i7 700 products have 6 megabytes of L3 cache while the 800 and 900 series processors have 8 megabytes. These processors do not include the integrated graphics processor found with the Arrandale based mobile Core processors. These are the fastest processors which can be purchased for laptops. The question is simply one of what you can need and then what you can afford. The Core i3 processors are absolutely more than adequate for everyday tasks, and most people won’t need anything faster. Buyers should pay attention to the ultra-low voltage processors. What is interesting about these processors is that they are capable of providing outstanding battery life. The turbo boost on these processors is so aggressive that laptops using these processors should be just about as quick as any other laptop – so long as the laptop is plugged in.